Abdominal fat, the extra layer just under your belly-button we sometimes jokingly call a “spare tire” or affectionately, a “tummy”. In this article, I’d like to look at this because I see several causes of it, not always mentioned on Internet. The more you learn, the more you can do about it! Before I developed the MIR-Method, I focused on working with people and their allergies. 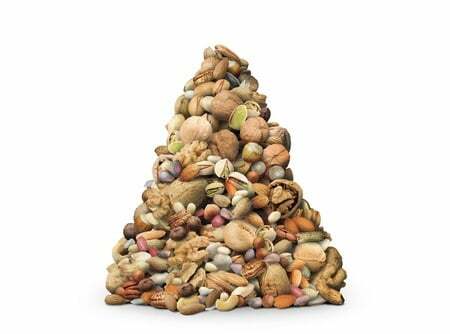 During this period, I learned that when people have a shortage of the mineral “manganese”, they have more abdominal fat. That was one of the ways I, as therapist, could see that they had a possible shortage of it. In the MIR-Method, differences are automatically supplemented by step 5: ‘Supplement all shortages’. The way it works is that all 9 steps cooperate to increase the absorption of nutrition, so your body works more efficiently. At the same time you help yourself by intuitively knowing what your body needs. Manganese can be found, for example, in grains, rice, nuts, leafy vegetables, fruit, meat and fish. Does it grow in nature? Take a look at your daily nutrition and see if any of the above food is a part of it. You could also ask yourself: “Does my food grow in nature?” Do potato chips grow on a tree? If not, don’t eat them. Processed foods are not suitable for our bodies. 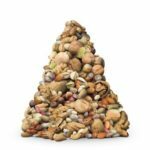 By the way, there is a lot more information about how good fats enhance our health and that carbohydrates actually should come in last place. I’m not a nutrition expert, but you can read about this in books, such as those by Dr. Loren Cordain or “The Food Hourglass” by Dr. Kris Verburgh. And if you already know more about this, please feel free to share in the comment section below! Thank you! Unfortunately, yes unfortunately, I’m going to mention it. Alcohol is one of the causes of abdominal fat. We break down less alcohol than was thought up to now. In addition, scientists have discovered that women process alcohol less efficiently than men. Because of this, women turn it into abdominal fat more quickly. And addictions are easily formed when someone says “you most certainly can drink one glass every evening”. I absolutely do NOT agree! If something encourages an addiction, it’s doing it every day. And it takes a lot of discipline to keep it to one a day. Too bad! Put alcohol where it belongs: drink it during the weekend or to celebrate special occasions. If you need it, that is. I enjoy living without alcohol. There’s another reason for that. Very sensitive people or people who are not easily grounded, tend to not respond well to alcohol. Through step 1: ‘Optimize acidity’ you assist with breaking alcohol down more quickly. Through step 2: ‘Detox all toxicity’ you remove alcohol more quickly from your body. But… it’s still better for it not to get into your system in the first place. If you have a tendency for addiction, add the sentence “Detach alcohol addiction” to the 9 steps, as step 0. Watch the video about this: ”Overcome Your Addiction with the MIR-Method”. When the small intestine meridian is disrupted, more abdominal fat can slowly develop than is desirable. The roots of the disturbance are emotional. It usually develops during intense moments of feeling abandoned, but also when you can’t distinguish between your own emotions and those of others. The latter occurs, for example, in health professions, where the caregiver strongly feels the emotions of the other person or even “soaks” them up into himself/herself. Abandonment can have already occurred at a young age. For example, if you had an absent father or when someone didn’t defend you, causing you to feel vulnerable as a child. Events could have also happened later and blocked your small intestine meridian. All of us have had enough experiences that made us feel let down or abandoned. You can test yourself to see if this plays a role in your life by observing how your energy is between 1 and 3 pm. If you are more tired during this period of the day than during the rest of the day, your small intestine is blocked. It’s not a “lunch dip” but a blocked meridian! And… you let your small intestine meridian’s energy flow freely again, through step 4: ‘Clear meridians’. You delete layer for layer the feeling of being abandoned. With step 7: ‘Fulfill basic needs’ you supplement the basic need “Boundaries”. It therefore becomes easier for you to experience boundaries and you won’t let other people’s feelings inside of you so easily. Through step 8: ‘Optimize chakras and aura’ you continue to strengthen your aura, bit by bit, so you can better distinguish between your feelings and those of others. Even if I don’t mention all 9 steps, always do all 9 steps! I’m curious how it is for you. Do you recognize yourself in what I’ve written? I’d love to hear about it from you! Please let me know below. Thank you! From the bottom of my heart thank you sooo very much for all upon are doing for us. Believe you in every word you say. I’m keeping fit by practicing twice a day. I also share your messages and hope more will follow. i did the MIR method religiously twice a day for 30 days. I have not noticed any change. I believe it works because i have read so much. Should i pay attention to a specific problem? For example i want to lose weight and despite knowing everything about good food i eat incorrect food,do not exercise regularly and don’t make a weight goal and bad indigestion. Yes i read about the emotional challenges, abandonment ( abdominal weight) etc. but do not know how MIR-Method can help. FYI – I have been doing the HOponopono and Gratitude exercise for the last 3 months. And the MIR method i have taken a break at 45 day break after the intense 30 day practice. If that is too much for you, just continu doing the MIR-Method and try to become a bit friendlier towards yourself. Become your own dearest mother that supports you. Because it really is a challenge. It is always best to do the sentences of the 9 steps. So ‘Fulfill basic needs’. The boundaries, appreciation, love, warmth, which are all basic needs are included in that sentence. It is best to keep it this way, so your subconscious will not leave anything out. Did you have a look at the instruction video? I am happy you found the MIR-Method! I hope it will bring you much good! Let me know! Thank you, I really enjoy your newsletters and all the valuable information. Yes, I can very much identify with the above. But your method has really helped me, although I am on my third round and it has taken a year (on account of many health issues) but now finally I have experienced a breakthrough! I finally was able to deal with my codependency issues which is huge for me. Now able to change my diet and exercise in a way I haven’t been able to do before. I’ve taken my power back and now feel in control of my life again. I am also a therapist and have warmly recommended your method to both clients and my colleagues. Thank you, I really admire the work you are doing and your commitment to helping others. Thank you for your kind words! It is people like you who help me to keep on doing this work. I am very happy to read that you can feel personally that the MIR-Method is helping you. Great! Thank you for spreading it to other people! Thank you for your gratefulness. I am glad that the MIR-Method is helping you. Keep on doing it, for as long as you have health issues! And please tell other people in India, because I think it can really help people! And for free! I have used this method for my daughter and my granddaughter. I am sure it helped me along the way, too!! I noticed my abdominal problems went away, as well as my body fat. I will start using it again on myself! How wonderful that you can see the abdominal problems and body fat leave you! It is all possible, because the body is capable of so many things! I am really happy to read how well it works for you! Thanks for sharing it with your daughter and granddaughter! Ana, May i know how long did it take before you realise weigh loss? MM, it’s great what you do; i m completely with you on your thinking and direction, i m also a holistic therapist of many different methods too. That is so great to read! Don’t know if Ana will see your message. In the Netherlands the weight loss differs a lot per person. Some notice it within the 4 weeks, others need a longer period of time. It usually has to do with the deep hidden emotions. Wishing you wonderful work in your practice! …..well, once again you hit the nail on the head and I feel like you have been sitting on my shoulder watching! God bless you for ALL your insights and work. At almost 70 years of age, I feel the healing at last. 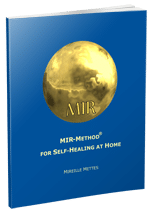 Through MIR- Method there have been many questions answered for me since I started last March, 2015, when I was going through breast cancer treatment. The MIR-Method supplemented my healing—I have no doubt! A real blessing in my journey. Thank you. With a bow of respect for your health journey, I thank you. For being so brave to go through the medical treatments and to embrace the MIR-Method. Am very happy it has supported you! Keep it up and hope you will feel more and more energy and liveliness!